DLSU President-Designate Br. 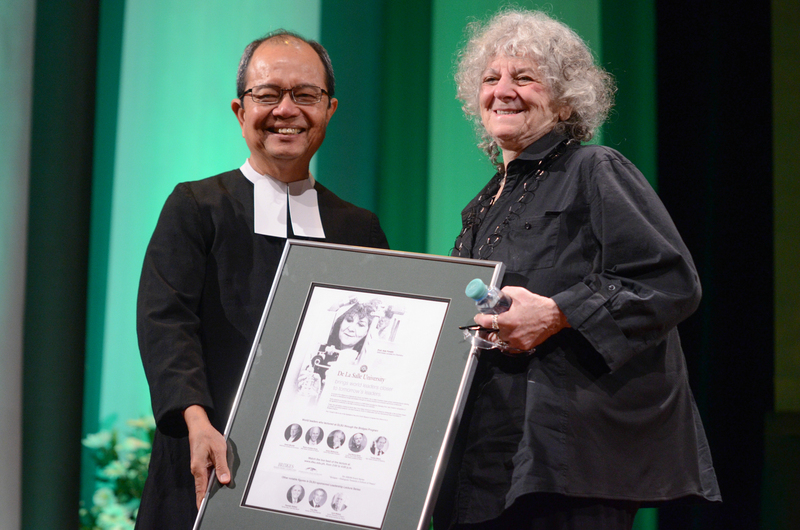 Raymundo Suplido FSC presents a token of appreciation to Prof. Ada Yonath after she is given a honorary degree in science. De La Salle University conferred upon 2009 Nobel Laureate for Chemistry Professor Ada Yonath by awarding her an honorary degree in science last March 2 at the DLSU Teresa Yuchengco Auditorium, coinciding with Bridges lecture she delivered on campus. Best known for her pioneering work on the structure and atomic workings of the ribosome, the cell’s “protein factory,” the esteemed scientist also established the first protein crystallography laboratory in Israel. Prof. Yonath has generated 3D models that show how different antibiotics bind to the ribosome and how bacteria become resistant to antibiotics. In addition, she introduced a novel technique called cryo bio-crystallography that “revolutionized the field of structural biology and has given it wide-ranging applications, particularly in the development and design of new antibiotics.” She is also the first woman from the Middle East to win the Nobel Prize in science and the first woman in 45 years to win the Nobel Prize for Chemistry. Prof. Yonath received her bachelor’s degree in Chemistry and her master’s degree in Biochemistry at the Hebrew University of Jerusalem in 1962 and 1964, respectively. She earned her PhD in X-Ray Crystallography at the Weizmann Institute of Science in 1968. She held postdoctoral positions in Carnegie Mellon University in 1969 and MIT in 1970, where she worked with 1976 Chemistry Nobel Laureate William N. Lipscomb, Jr. of Harvard University. In addition, Prof. Yonath was also visiting professor at the University of Chicago, visiting scientist at the Heinz-Günter Wittmann, Max Planck Institute for Molecular Genetics in Berlin, and head of a Max-Planck Research Unit at Deutsches Elektronen-Synchrotron (DESY) in Hamburg while continuing her research activities at the Weizmann Institute of Science, where she was the holder of the Martin S. and Helen Kimmel Professorial Chair. The Bridges lecture series is an event organized by both the Vienna-based International Peace Foundation and DLSU and, over the years, has included celebrated individuals such as former New York City Mayor Rudolf Giuliani, former World Bank President James Wolfensohn, Nobel Laureate for Physics David Jonathan Gross, Nobel Laureate for Economics Robert Mundell, former Timor-Leste President and Nobel Laureate for Peace Jose Ramos-Horta, former UK Prime Minister Tony Blair, Nobel Laureate for Medicine Torsten Wiesel, and former President of Poland and Nobel Laureate for Peace Lech Walesa. De La Salle University honors notable women in the scientific community with its annual Research Congress, which will be held on campus this March 2 to 4. The congress will feature a forum featuring researches by outstanding women chemists in the country as well as a lecture by 2009 Nobel Laureate for Chemistry Prof. Ada Yonath. Guest speakers include National Scientist Dr. Lourdes Cruz, Director of the Philippine Nuclear Research Institute Dr. Alumanda dela Rosa, and DLSU Associate Professors Dr. Nancy Lazaro-Llanos and Dr. Julita Robles. Their talks will cover Biochemistry, Radiation Chemistry, Ribosomes, and X-ray Crystallography respectively. 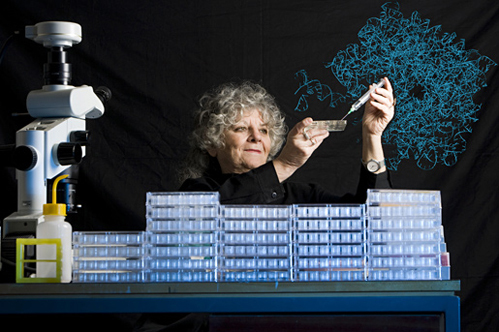 “From Basic Science to Advanced Medicine–Molecules of Life and Their Impact on Modern Biomedical Research,” a lecture by Prof. Ada Yonath, is hosted in partnership with the International Peace Foundation’s Bridges–Dialogues Towards a Culture of Peace program. The DLSU Research Congress aims to provide an opportunity for researchers, educators, and students to disseminate their research outputs. It is also a platform for dialogue, the exchange of ideas, and collaboration. Expected attendees are leaders of educational institutions, professional, government and non-government organizations, and other groups at the forefront of science, engineering and medicine, such as the National Academy of Science and Technology as well as technical panels of DOST, CHED, and DepEd. Also attending are students from DLSU and top high schools in the country. 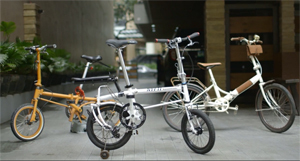 A team of Lasallians from the De La Salle University Gokongwei College of Engineering will unveil the first upscale Philippine-made foldable bicycle at the 1st Philippine Bike Expo on November 15 and 16 at the World Trade Center. Faculty member Engr. Isidro Marfori III and former co-faculty Engr. Carl Mamawal will lead the launch of NYFTI, one of the winners of the 2nd IdeaSpace Startup Competition supported by IdeaSpace Foundation, Inc. 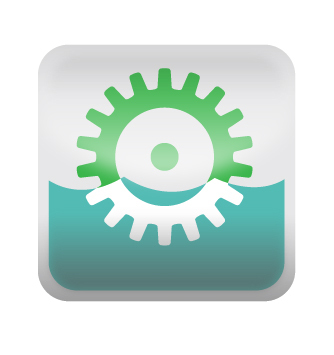 The NYFTI team is composed of engineers, designers, and fabricators who are very passionate about transportation design. 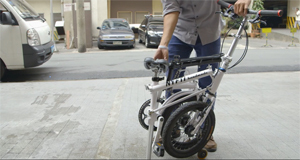 NYFTI is committed to create world-class quality foldable bicycles that showcase Filipino innovation. Attendees of the expo will have the opportunity to have first dibs in owning this premium novelty as pre-selling will be done in the event. 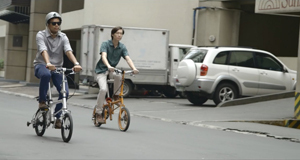 Epitomizing Filipino innovation, the technology startup team behind NYFTI was able to create a handmade full-size geometry bicycle with the smallest fold volume – the best in its class so far. It showcases a patent-pending three-fold design that seamlessly folds and fits into spaces one never would have imagined. It has the ability to transform into three convenient modes namely: the fold, park, and cart mode. All of which are perfectly suited for bi-modal commutes. Built with tough yet light chromoly alloy steel, NYFTI weighs approximately 10 kilograms. In addition, it incorporates 8-speed gears, reliable brakes, and 16-inch wheels granting urban wanderers a safe and nimble ride experience. NYFTI celebrates a lifestyle lived largely in the city with portable and functional handmade bicycles. Altogether, it is a product that is perfect for the on-the-go urban wanderer. IdeaSpace is the largest private-sector commitment for technology entrepreneurship based in the Philippines. It is supported by the following companies: First Pacific, First Pacific Leadership Academy, Metro Pacific Investments Corporation (MPIC), Metro Pacific Tollways Corporation, MPIC hospital group, PLDT, Meralco, Smart Communications, Inc., Digitel Mobile Philippines and its mobile brand Sun Cellular, SPI Global, ePLDT, Indofood, Philex Mining, Maynilad, MediaQuest, and TV5. To find out more about NYFTI Bicycles, please visit their website: www.nyftibicycles.com, Facebook page: www.facebook.com/nyftibicycles. Dr. Sheree Pagsuyoin of Canada’s University of Waterloo, Dr. Joost Santos of George Washington University, De La Salle University’s Dr. Raymond Tan, and members of De La Salle University’s Chemical Engineering Department conducted an inception seminar in Mulanay, Quezon for a proposed rural water supply project that will be undertaken in the area. The project aims to provide year-round access to potable water to rural communities using indigenous and low-cost materials, with the malunggay as a chief component of the system. The project also seeks to reduce the incidence of waterborne diseases and raise awareness on matters of health and hygiene. Beyond producing a low-cost biofiltration system, a business model will be implemented for the commercialization of the technology. Moreover, the cultivation of the malunggay, derivative products, and livelihood projects are also being developed. The project is supported by Grand Challenges Canada, a grant giving body funded by the Canadian government which seeks to support innovators based in low- and middle income countries and Canada. Projects supported by Grand Challenges Canada must integrate science, technology, social, and business innovation. Apayao is a landlocked province of mountains, rivers, and farmlands. Found at the northern edge of Luzon, it is bordered by Cagayan to the north and its east, Ilocos Norte to the west, and Abra to the south. Within Apayao, some 607 kilometers north from Manila, lies the municipality of Calanasan. The trip to Calanasan is a grueling fifteen hour trip by car, but to reach Parina, another three hours is needed. The mountain community is only accessible via a rugged access road, freshly cut through the mountainside. On good days, the mud stymies most vehicles and, occasionally, a tractor is needed to haul vehicles up the sharply inclined slopes. 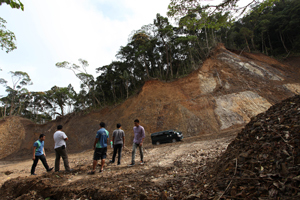 On bad days, the road is subject to landslides making travel all but impossible. Once Parina is reached, visitors are treated to a reminder of a more pristine time. Parina is verdant with dense foliage while, off in the distance, fog envelops the peaks of the Cordilleras. Taking in the scenery, there is an almost primaeval feeling to the community’s isolation. That isolation extends to facilities taken as staples of city life. Like other far-flung communities across the country, Parina has neither phone lines nor a cell tower nearby. It is, however, home to a micro-hydro power plant, a project of De La Salle University and its partnership with SN Aboitiz Power. This 10 kilowatt power plant supplies power to fifty-five households in Parina. More amazing still, it is operated and maintained by Parina’s residents. Engineer Isidro Marfori is the project head of the Micro-Hydro Technology power plant in Parina. A faculty member of DLSU’s Gokongwei College of Engineering and project head of the Center for Micro-Hydro Technology for Rural Electrification (CeMTRE). As Marfori explains it, the Micro-Hydro power plant uses water sourced from nearby Cadcadir river. Water from the river is diverted through canals, channels, and pipes. The diverted water is then led through a turbine. As the turbine rotates, mechanical energy is generated and then transferred to an electric generator which then produces the electric power. Marfori was happy to point out that the process does not add chemicals, gas by-products, and is, thus, very clean. As a “run-off” system, no dams are put into place. Dams are notorious for unbalancing delicate ecological systems as these significantly alter natural topography and displace wildlife. In contrast to dams, run-off systems such as the micro-hydro power plant merely diverts a much smaller volume of water and, thus, maintains the natural balance of the area. The very sustainability of the system is one the reasons why De La Salle University strongly believes in the project. In implementing the project, Marfori described DLSU’s approach which he termed as “Community-based Micro-hydro System.” The process was one of social engagement in which the community’s active involvement was encouraged by the DLSU team. To begin the process, the DLSU team took into account the community’s living conditions, means of livelihood, demographics, and knowledge base. After the necessary information was gathered, the team then approached the community on a per family basis and introduced them to the concepts behind the technology. According to Marfori, some members of the community were not even aware of electricity prior to the project. After the preparatory phase of the project was completed, the team proceeded to build consensus within the community by talking to the community’s elders. Only after the consensus of the community is attained that the actual planning and design phases took place. Planning began with the selection of members for the Barangay Power Association or BAPA who are tasked with managing and operating the power plant. Marfori stressed that while DLSU can provide technology that can last nearly a lifetime, the system can only work if the community takes care of and maintains the plant. As such, the DLSU imparted on the community the importance of technology management and the skills to actively maintain the plant–from changing worn out parts to ecological awareness such as checking if their water source is still available. Marfori stressed to the community they have to maintain their forest and not cut down trees. “In fact, they should plant more trees so that the retention of water in the mountain will increase or remain the same,” he said. The micro-hydro power plant in Parina is not the DLSU-CeMTRE’s first foray into the technology and the electrification of a remote community. Since 1998, DLSU has been providing electricity to underserved communities. as Marfori recounts, one of the earliest project areas for DLSU was Abra. “We have three power plants there that are still operational up to this point,” he said. Marfori was also proud to point out that a cooperative emerged from one of the communities managing a power plant which was evidence that communities were developing and even profiting from their new power systems. In regards to Parina itself, Marfori sees a number of ways in which the community can thrive with the help of the new power plant. “They can actually gain an income by implementing livelihood activities that the micro-hydro power plant can power. They can put up, say, a rice peeling facility. Because the rice mill is powered by a renewable source of power, they don’t need to buy gasoline,” said Marfori. The implications for a small community such as Parina is staggering. “Since they don’t have to buy fuel, they can actually save money and this is additional profit for them. They can also put up a welding shop so that, within the community, if they have welding services, they can repair things themselves and charge for the service,” said Marfori. According to Marfori, there are many communities in the Philippines that continue to live without the benefit of electricity. Given that the country is tropical, why isn’t there more of these projects addressing the needs of far flung communities? Simply put, the development and execution of a micro-hydro facility is not easy. Moreover, coal is the defacto energy source for much of the Philippines and the developing world. “Coal is the easiest energy source. You just import everything and that’s it,” Marfori intones. Another concern of Marfori is that sufficient volumes of water needed to power micro-hydro plants are found only along the mountains and countryside. Such areas add difficulty to the logistics of complex projects and invariably increases cost and construction time due to their inaccessibility. Marfori also confided that communication is another problem as no cell towers are present in the area. Thus, each component and piece of equipment must be meticulously planned into the itinerary. Regarding components, the turbine needed for the plant introduced a challenge in its own right. Very few people in the Philippines are capable of designing and manufacturing micro-hydro turbines. Fortunately, DLSU is one of the few institutions that have the capability to design, produce, and deploy the component in the field. 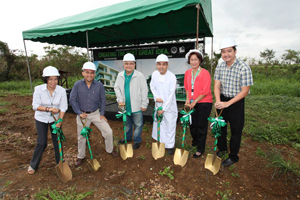 De La Salle University officially broke ground for two of its flagship projects in Sta. Rosa City, Laguna last July 24. Two research facilities, the Hangar and the Clean Building, will be housed in the University’s 50-hectare Science and Technology Complex. The DLSU Science and Technology Complex aims to be an integral resource for scientific advancements and technological innovations in the country, emphasizing the Lasallian tenets of integrating faith and service through knowledge generation. 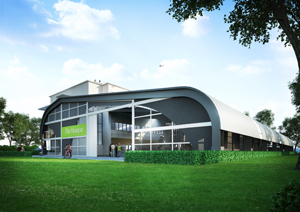 The Hangar will serve as the new venue for noisy and dirty engineering work for programs such as Mechanical Engineering, Manufacturing Engineering and Management, Chemical Engineering, Electronics Engineering, Computer Engineering, and Automotive Engineering. The second structure, the Clean Building, is meant to be a shared space for disciplines that utilize high-precision equipment. The Clean Building will be home to experiments and lab work for courses in Human Biology, Molecular and Cellular Biology, Chemistry and Biochemistry, Physics, Industrial Engineering, and Industrial Ecology. Other programs which require high-level visualization and performance computing will also be housed in the building. (from left): Vice Chancellor for Academics, Dr. Myrna Austria; Vice Chancellor for Research and Innovation, Dr. Raymond Tan; Vice President for Administration, Mr. Edwin Santiago; President and Chancellor Br. Ricardo Laguda FSC; Vice President for DLSU-STC, Dr. Pag-asa Gaspillo; Project Head, Arch. Duke Sage. Members of the University’s administration, as well as the Hangar and Clean Building’s project team, attended the groundbreaking rites. 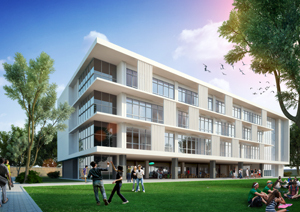 The construction of these research facilities is in line with DLSU’s campus development strategies to accommodate the country’s growing need for technological innovations. 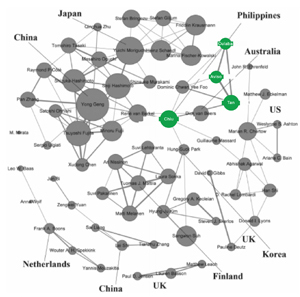 In a recent social network analysis article published in the Journal of Industrial Ecology (ISI with IF 2.276), DLSU professors have been revealed as major contributors to industrial research in the Philippines. The authors in the Philippine Category mentioned in the article are: Dr. Kathleen Aviso, Dr. Anthony S.F. Chiu, Dr. Alvin Culaba, and Dr. Raymond Tan. In addition, the article also highlights that China, Japan, and the Philippines have significant contributions to the research of industrial symbiosis. 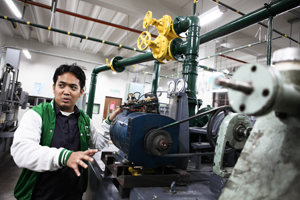 DLSU researchers have been active in the field of Industrial Ecology since 1998. Additionally, DLSU engineering departments have graduated Ph.D. students in the field of industrial ecology with specializations in life cycles analysis, industrial symbiosis, material flow analysis, and economic input-output. De La Salle University’s Center for Micro-Hydro Technology for Rural Electrification (CeMTRE), in partnership with SN Aboitiz Power (SNAP), recently turned over a 10-kilowatt hydro powerplant to the local government of Baragay Parina, Apayao. The 10-kilowatt hydro-powerplant was conceptualized by SNAP in 2011, while the technical aspect of the project was implemented by DLSU. The power project forms part of the national government’s thrust at providing electricity to small, remote off-grid areas. In step with the national government’s objective, DLSU-CeMTRE seeks to accelerate research and development of micro-hydro technologies within the country and promote local manufacturing of turbines and controllers. DLSU-CeMTRE also aims to strengthen the inter-agency coordination among academic institutions, NGOs, and other stakeholders on micro-power technologies. NAST Academician and DLSU University Fellow Dr. Alvin Culaba, as the project leader of the micro-hydro power project, formally turned over the plant to Calanasan Mayor Elias Bulut. In his inauguration speech, Dr. Culaba acknowledged the yearlong partnership of DLSU with the community and the local government unit. This partnership, according to Dr. Culaba, contributed to the successful implementation of the project whose construction started in 2013. For their part, local executives expressed their belief that the power project will support more socio-economic activities in the area. The plant, which is to be managed by the local community, will provide energy to 50 households in Barangay Parina. UNESCO describes language as “…a unique worldview with its own value systems, philosophy, and particular cultural features.” It is the culmination of centuries of experience and is a store of artistic, spiritual, and practical wealth. The latter is of particular interest as ingrained in the fibers of language, is the deep-rooted wisdom that comes with the connection that its speakers have with themselves and their environment. In a world of ecological concerns, such knowledge can ultimately prove vital in the well-being and survival of countless others. In the Philippines, there are at least a dozen major regional languages in the country such as Cebuano, Ilocano, and Hiligaynon. Language itself is mutable and, with the passage of time, once distinct languages are now subject to intermingling and “code-switching,” a phenomenon where speakers alternate between two or more languages within the context of a single conversation. Eventually, languages become so adulterated that they may be virtually unrecognizable from its original form or may fall out of use entirely and become endangered or extinct. While historically, languages are known to disappear, migration, urbanization, and globalization are creating conditions in which the rate of languages falling out of use are exacerbated. This is a particular blow to linguistically diverse countries such as the Philippines where large swaths of its cultural heritage can disappear as a particular language’s speaking population dwindles or switches to more dominant languages. Itawit is one such language in danger of disappearing. Itawit is spoken by approximately 120,000 Filipinos living in parts of Northern Luzon, including Southeast Cagayan, and Tuguegarao. Unfortunately, Itawit has never been documented nor taught formally, even if it is widely practiced and is next to the regional lingua franca Ibanag in use. Dr. Shirley Dita, an associate professor of English and Applied Linguistics here at De La Salle University, with support from the National Commission of Culture and the Arts, embarked on a project to document Itawit so it can be integrated as part of the regional school curricula and effectively passed on to future generations. In Dr. Dita’s study, she describes the language as endangered given the intrusions of other languages such as Ilocano, Tagalog, and even English. The extent of these intrusions can be seen in the frequent code-mixing that occurs between Itawit and other languages, such as Ibanag or English, that it has become commonplace and even sounds natural to Itawit speakers to do so. To preserve an endangered language such asItawit, documentation and its transmission through formal education is needed. The latter is particularly crucial as the Philippine educational system is shifting to a Mother Tongue-Based Multilingual Education (MTB-MLE) approach which underscores the important role Itawit plays today and in the future. To this end, Dr. Dita’s study culminated in an Itawit-Filipino dictionary which is intended as a reference material for the next generation of Itawit speakers and those who wish to learn the language. With the efforts and cooperation of academics such as Dr. Dita, learning institutions such as De La Salle University, and the government, we can continue to learn and grow from our cultural heritage and share our patrimony with the rest of the world. UNESCO has a brief but enlightening video on why preserving language matters, so if you can spare the time, do view it here. DLSU Pursues the Dream of Renewable Energy–With Cars! The question concerning fossil fuels is that of “when” rather than “if” the world’s reserves will finally run out. 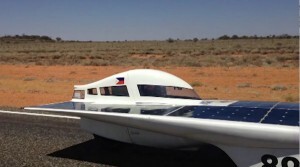 In 2007, De La Salle University wanted to be the first educational institution in the country to take a stab at the matter by developing the Philippines’ first solar car: the Sinag or “Sunray” in English. In the words of Engr. Jack Catalan, Electronics and Communications Engineering Department faculty and Electrical System adviser: “The Solar Car Project is a venue to demonstrate that we, as Filipinos and as Lasallians, can make a mark in this field.” To that end, faculty and students from both the Mechanical Engineering and the Electronics and Communications Engineering departments in partnership with Ford Group Philippines, San Miguel Corporation, Motolite, Shell, Sunpower, Philippine Airlines, and Ventus pooled gray matter and resources and the rest, as the saying goes, is history. The Sinag sports some very non-pedestrian materials. The car’s frame is composed of carbon fiber and nomex, lightweight but durable materials that can be found in Formula One cars and the suit of a certain pointy-eared superhero with a taste for the theatrical. Sunpower, a local manufacturer of solar panels known for their efficiency, was also sourced for another key performance element. The car itself weighs in at a trim 295 kilograms or, to put things in perspective, a fifth of what a typical sedan would weigh. So yes, the Sinag is a very interesting piece of technological kit whose every inch, nook, and cranny screams clean propulsion. Tech and performance metrics aside, you arrive at a certain quandary. What do you do with the product of so much man-hours, blood, sweat, and tears? Hold a press event and call it a day? A proper, self-respecting gear head would test their creation and would probably want to see how it fares when pitted against what the other guys did. Yes sir, a proper engineering fiend would race their car—in a grueling 3,000 km race against 40 other like-minded fellows and their creations. And yes, the Sinag team did just that by joining a biennial race that highlights advances in automotive technologies and promotes alternative vehicle engines: the World Solar Challenge (WSC) in 2007. It’s easy to imagine a dedicated team milling about in a workshop in a project such as the Sinag. It’s also easy to imagine these bright fellows spending their days just tooling over and immersing themselves in the solar car project, but for the twenty member core group comprised of both faculty and students of De La Salle University, the Sinag was a real, honest to goodness passion project conceived and executed in their spare time and within a mere seven months. The Sinag team had to literally balance personal and academic responsibilities with their time on the solar car. Even with such a balancing act, the team had achieved amazing results in their spare time and the proof was very much in the pudding: Sinag qualified for the WSC which is no easy feat by passing the Scrutineering and Qualifying events. More amazing still, Sinag’s performance in the actual race was exceptional placing 12th among 20 teams, ahead of teams from Canada and France, and finishing a day before the race’s cut-off date. After the Sinag, De La Salle University’s team of faculty and students weren’t quite done with solar cars. Sikat followed Sinag and was used a testbed for technologies that would later be implemented in Sikat II and Sikat II-A. The Sikat II-A is the fourth version of the Sinag and sports a number of improvements over its predecessors. Compared to Sinag, Sikat II-A takes an even sleeker, more aerodynamic form. Additionally, Sikat II-A has an average speed of 80 kph and a maximum speed of 110 kph. The Sunpower Silicon C60 solar cells used in the car are rated at 22% efficiency and outputs 1300 watts of power. Improvements were also made to the battery management system, telemetry, wiring, cruise control, brakes, and suspension system. Sikat II even makes use of Schwalbe Sleek tires. 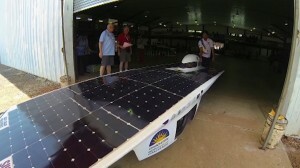 The end result of all these improvements and engineering work enabled Sikat II-A to place first in the pre-race qualifying round and third in the 2013 World Solar Challenge Adventure Class. 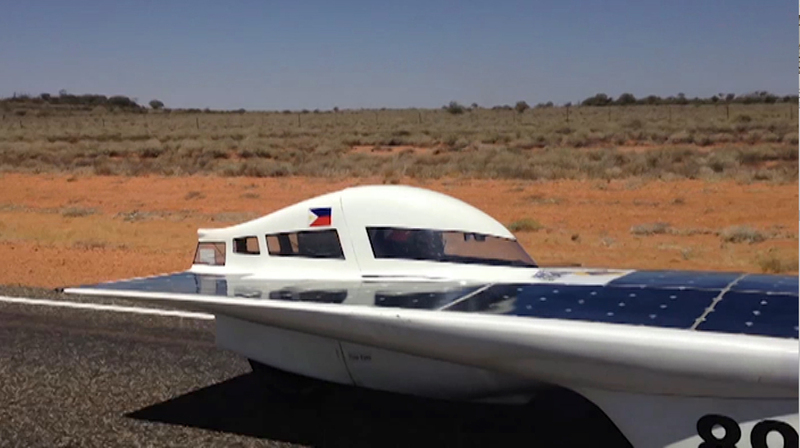 In total, Sikat traveled 2,487 “solar kilometers,” the car’s mileage on solar energy, ahead of entries from Hong Kong, Turkey, the USA, and Japan. The successes made by the Sinag and Sikat teams in the arena of solar car racing illumine the wonderful possibilities of alternative and renewable energy-based transportation in the country. It also clarifies a few things about the capabilities of our people. Filipinos have the means and the know-how and producing vehicles such as Sinag and related technologies are very much within our grasp–if we as a nation so desire it. Moreover, our local talents and our ingenuity are competitive with our brethren across the globe and we can achieve our designs at a fraction of the cost of competing products. Sikat II for instance took 7 million pesos to manufacture while those from other countries would cost, on the average, at least $600,000. On a more immediate note, Engr. Catalan points out that the experiences and know-how gained from the Solar Car Project can be used in the production of electrical cars. “This is a direct application of the Solar Car Project. There are a lot of electrical components that we can adopt into an application involving electric vehicles. This is green technology that is expected to be part of the future.” As inspiring as these technical achievements are and its import on the capabilities of our country, Bro. Ricky Laguda, DLSU president and chancellor, best encapsulates what the Sinag and Sikat teams have achieved by stating that, “…Filipino students are capable of producing solutions to our current concerns in renewable energy and long-term sustainability of our planet.” Building cars with an eye towards the future indeed.